Hole In One Coverage Winner, Donald Bean! While golf season may be wrapping up for the year, we still have hole in one insurance winners rolling in! 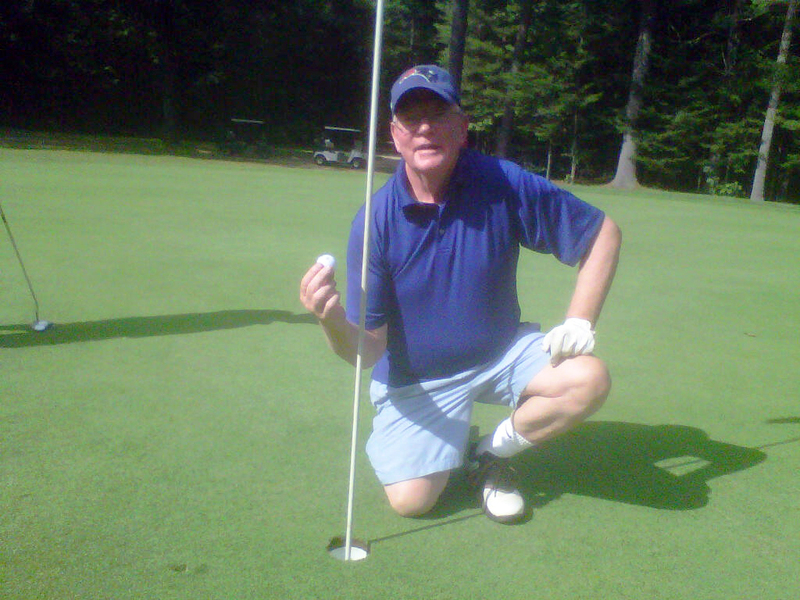 We’d like to take this time to congratulate Donald Bean of Fryeburg, Maine who aced the 135-yard 12th hole at the Fryeburg Recreation 21st Annual Golf Tournament at Lake Kezar Country Club on September 8, 2012! Bean ended up being awarded a $500 Visa Gift Card for his feat, compliments of Hole In One International’s auxiliary prizes, which are included with each and every purchased hole-in-one insurance policy on holes which measure at least 135 yards. Also included are free tee signs, tee markers and a free tee prize for each and every golfer in the event, which allows them to order a FREE golf club of their choice from FreeTeePrize.com! Looking to insure a hole-in-one contest at your next golf tournament? It’s never too early to get started; in fact, we strongly encourage you to have the coverage in place ahead of time — it allows you adequate time for all of the other hard work and planning that goes into organizing a golf tournament! Give Hole In One International a call today at 800-827-2249 to receive a free, no-obligation quote on hole in one coverage! And to Donald Bean: We hope you enjoyed spending your well-deserved prize! Home » Blog » Hole In One Coverage Winner, Donald Bean!